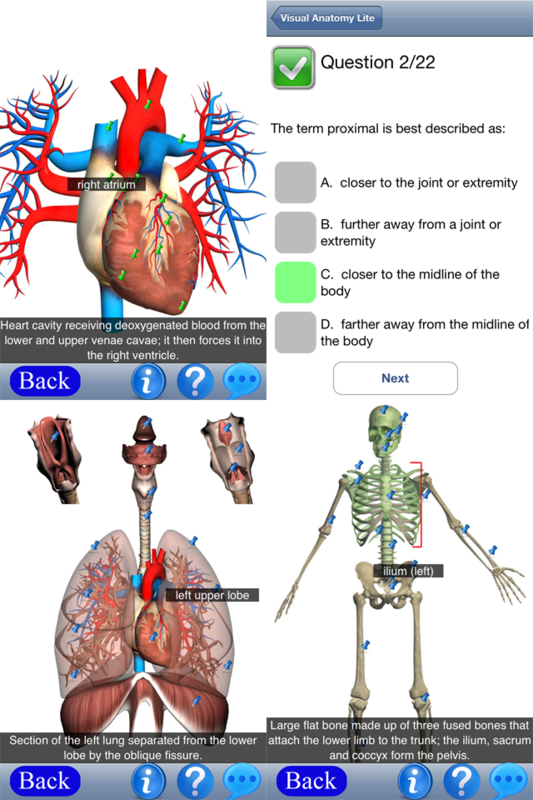 Visual Anatomy is a science reference tool that teaches kids about human anatomy and physiology. Kids can learn the names and functions of human organs and other structures, as well as terminology and locations related to surface anatomy. Diagrams help kids visualize locations of internal body structures, and being able to tap and read about a structure is extremely convenient. 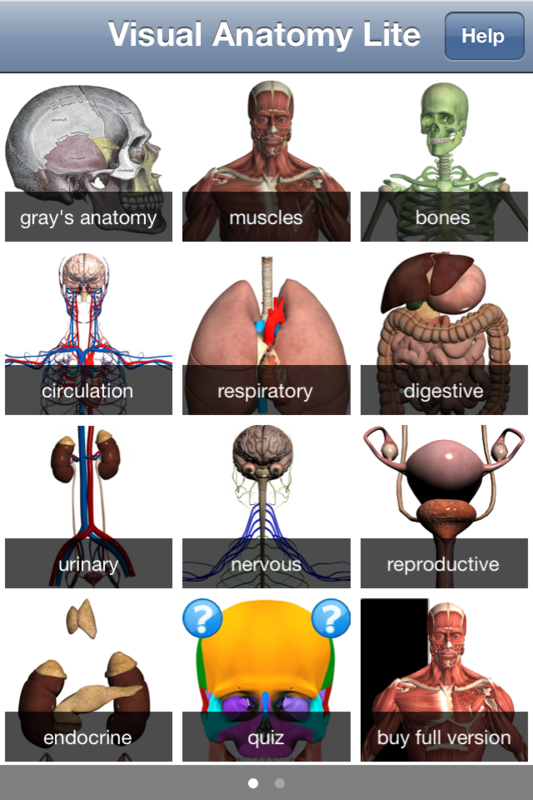 The app includes lots of interactive content for kids to learn, but most of it is nicely organized by body system. Kids can take multiple-choice quizzes to assess learning, but quizzes contain numerous grammatical errors, which can be distracting. Interactive anatomy reference with Gray's anatomy images add-on, a muscle highlighting tool and full description! 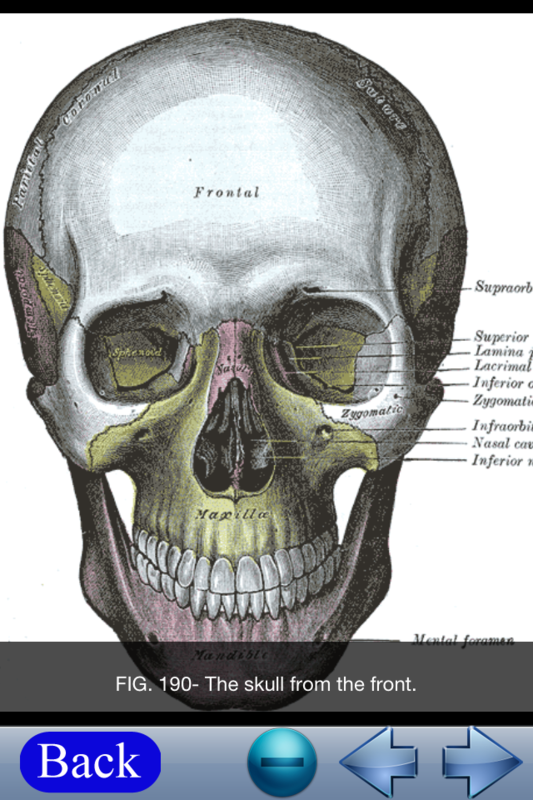 Visual Anatomy Lite is an interactive reference, and education tool. The Lite version contains 20 high-resolution images and more than 300 feature points which can be interactively selected. Each feature has its own label and short description. 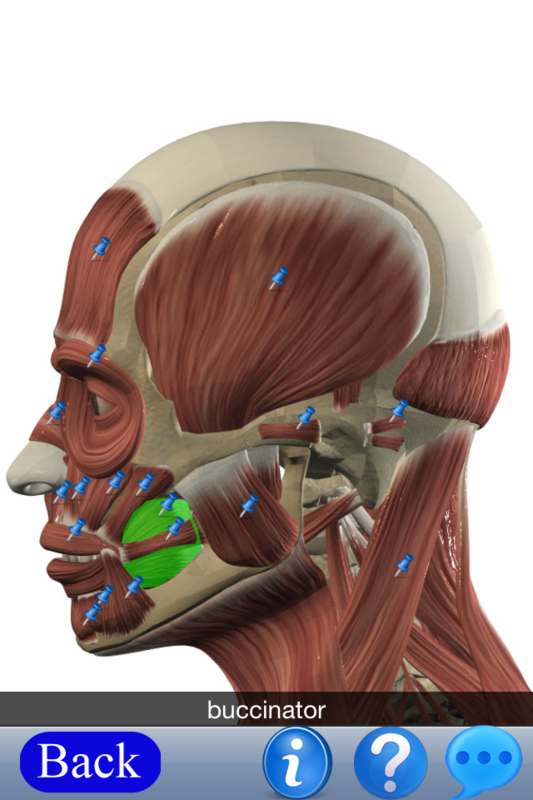 Add-on Images from 6 chapters of Gray's anatomy can be used as a quick reference. 6 chapters are bones, muscles and circulation system. In additional, a quiz with 23 multi-choice questions also is included. This app’s primary use is as a learning tool but can also be used for any professional who needs the occasional reminder. Additionally, this app is ideal for physicians, educators or professionals, allowing them to visually show detailed areas to their patients or students - helping to educate or explain conditions, ailments and injuries. •muscle description (ORIGIN, INSERTION, NERVE, ACTIONS). •Tap and Pinch Zoom - zoom into and identify any region, bone or other feature. •Quiz mode - test yourself with an option to switch off the label of the feature point. •Quick Navigation - jump to a different system or organ by selecting the thumbnail. 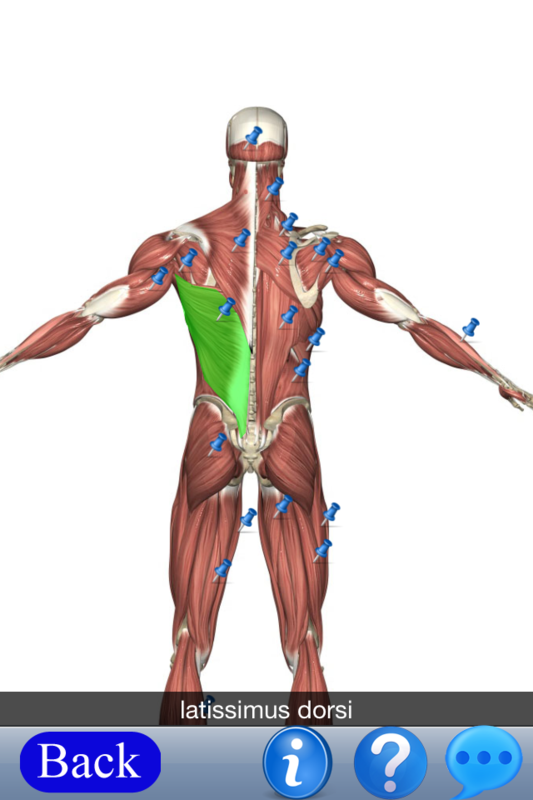 •Muscle highlighting tool to visualize the individual muscle. Body Region, Muscular System (whole body anterior and posterior, facial muscles), Skeletal System (anterior, posterior and lateral views), Circulation System (Principle Veins and Arteries, Heart), Respiratory System, Digestive System, Urinary System, Nervous System, Female and Male Reproductive Systems, Ear Structure, Nasal Cavity, Eye. The user is presented with a high-quality anatomy images. The user can zoom in to any area by two fingers and using the single finger panning function. The feature point (pin icon) can be selected by tapping on it. Detail button allows you to switch on/off the short description. For muscle section, detail button only show the description. Quiz mode button allows you to switch on/off the label and short description.